Take the conference home with the Complete Conference MP3 package! 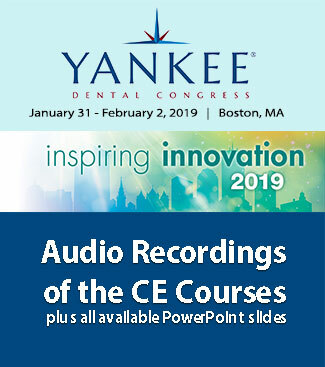 This is the Complete Conference Package of every conference presentation recorded live at the Yankee Dental Congress 2019 as MP3 audio files, plus all available slides. Listen to the sessions, exactly as they happened live. This package allows you to review presentation materials and is a lasting valuable resource.